Summer isn’t my favorite season, but I do like it better than winter. That’s probably a good thing because it sometimes feels like we’re in a constant state of summer here in Florida. When I moved to Florida I moved pretty much in the middle of winter. So I moved from the cooler (colder?) temps in North Carolina to a more milder winter in Florida. While it wasn’t summer hot in Florida when I moved, it was a lot warmer than even I was used to for that time of year. Well, that should have been a clue that summer would be like. Truthfully summers here in Florida really aren’t that much hotter than North Carolina summers. They’re just more humid which makes it feel hotter. When the weather is more humid it affects my skin. I tend to start sweating quicker than normal and I can’t stop once I start. This makes my face really shiny and I’m more prone to breakouts. My hair is also impacted by the high humidity. It feels weighed down, it puffs up and it’s impossible to style. Once the hotter temps and humidity kick in I know it’s time to change up my beauty products for some that perform better in the weather conditions brought on by summer. 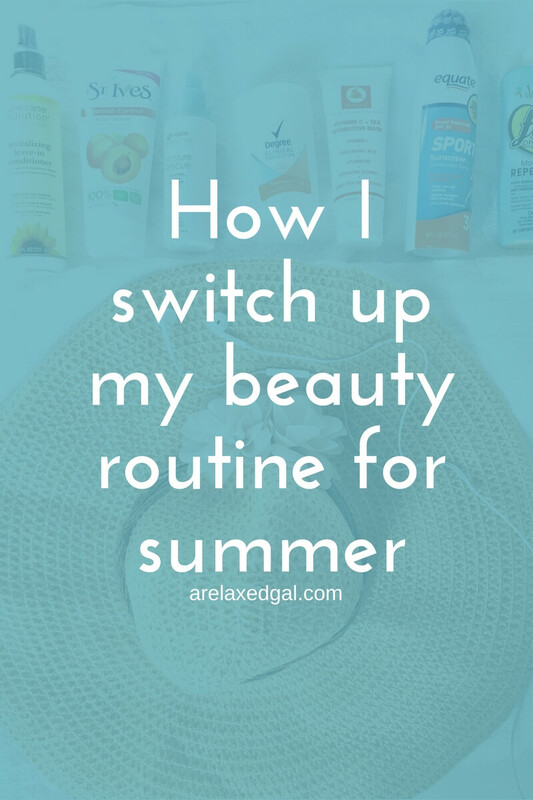 That’s when it’s time to reach for my ten go-to beauty products perfect for the summer heat and humidity. When the weather is hot and humid I tend to sweat more. And when I sweat more my face tends to feel really yucky. No joke, part of that yucky feeling is the dirt, grime, and sweat that I can feel in my pores. So it’s no surprise that I find more pimples on my face during the hotter months. Over the years I’ve found two things that help with that. One is using facial cleansing wipes. The second is exfoliating every day. I prefer using facial cleansing wipes or towelettes, like the Simple Cleansing Facial Wipes, more in the summertime because I’m able to fully and thoroughly clean my face. I can also see on the wipe what’s being removed and if there’s any makeup or dirt still left on my face. I like to exfoliate in the morning which also gives my makeup a smoother surface. The exfoliator I use is the St. Ives Blemish Control Apricot Scrub. If you read about my skincare routine, you probably saw that I use this scrub all year. The key difference is in the summer I make sure to use it every day. In the winter I don’t and will sometimes go a day or two without exfoliating. The best thing about the St. Ives Blemish Control Apricot Scrub is that it has salicylic acid as an ingredient which does the double duty of cleaning out my pores and combating breakouts. In the winter I tend to gravitate towards heavy, moisture-rich face moisturizers to help keep my skin from drying out. In the summertime, though those moisturizers feel heavy, greasy and make my face feel gross. Especially when I’m sweating and/or there’s a lot of humidity in the air. To avoid that gross feeling, I start using a lighter face moisturizer once the temps get higher. The one I’m loving right now is the Garnier Moisture Rescue Actively Hydrating Daily Lotion w/SPF 15. It has a light formula that moisturizes my face without making it feel greasy or over moisturized. I also like that it has SPF 15 to help protect my facial skin from the sun. If you don’t wear a foundation primer in the cooler months, it’s a must in the summer. 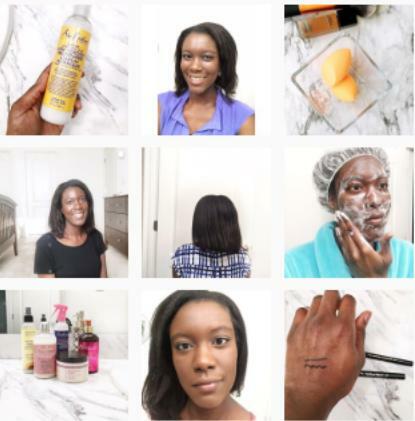 The primer I use is the Laura Geller Spackle Mattifying Under Make-up Primer. It keeps my shine in check and helps me avoid that greasy look. It’s also helpful for keeping my makeup in place in the humidity and when I sweat. When summers get really hot I wear less and less makeup including foundation. But when I do wear foundation I like to use a mineral powder foundation like Mary Kay Mineral Powder Foundation. I know many other women tend to switch to a BB or CC cream, but I’ve found a mineral powder foundation serves me well in summer. The Mary Kay Mineral Powder Foundation feels lightweight on my skin, I don’t feel like my pores are clogged or I have a mask on. I can easily control how much I wear by putting it on in light layers. I can also control where I put it on my face. In fact, sometimes I’ll only wear it as a concealer and apply it where I need coverage most instead of applying it to my whole face. Most mascaras stay in place whether they’re waterproof or not. But with a waterproof mascara, you have one less thing to worry about slipping off and disappearing. One of my favorite waterproof mascaras is the CoverGirl Professional Super Thick Lash Waterproof Mascara. As I noted earlier, once I start sweating it’s hard for me to stop. And the last thing you or I want is to have sweaty, smelly armpits. It took me a while, but I finally found two deodorants that help me avoid that in the summertime. Through trial and error, I can’t just wear any old type or brand of deodorant. The two are Degree Clinical Protection Summer Strength and Secret Clinical Strength. I jump back and forth between the two depending on who is cheapest when I need to restock. Both deodorants last all day and keep me from having sweaty and smelly armpits. While I live in the sunshine state I don’t make it a habit to wear sunscreen during the winter, but I do in the summer. So I like a light sunscreen that I can’t feel on my skin and doesn’t make my skin feel sticky. 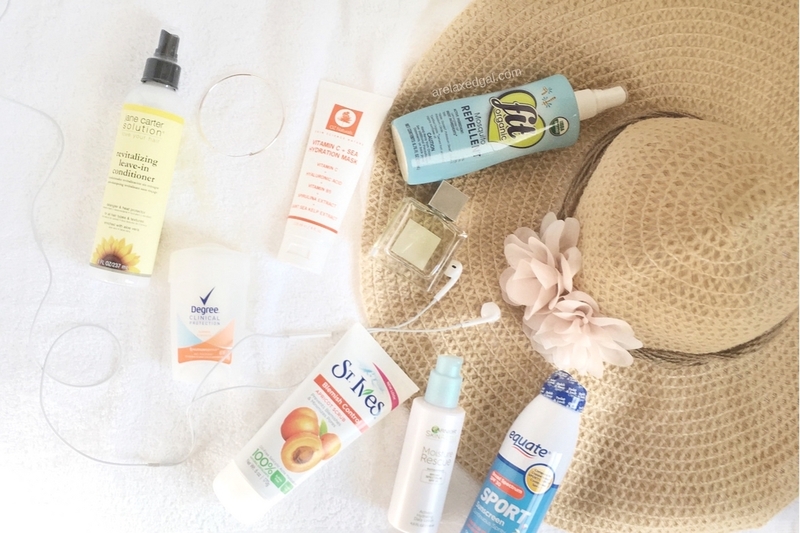 The Neutrogena CoolDry Sport sunscreen is one that I like to use in the summer. I don’t use it on a consistent basis because of the price, but if I’m going to be walking around instead of sitting at the beach or pool where I could be in and out of the water and constantly reapplying sunscreen, this is the one I use. I guess you could say the Neutrogena is my sunscreen splurge. It’s very light and dries quickly. I’m a big proponent of sulfate-free shampoos, but over time I’ve realized that sulfate shampoos serve a purpose. They’re able to clean your hair in a way sulfate-free shampoos can’t. This makes them perfect to use in the summer months. I find myself shampooing my hair more in the summer because I spend more time outside and sweat more. This results in a sweaty scalp, sweaty hair and product build-up. With a sulfate shampoo, you can make sure you’re ridding your hair of all of that sweat, dirt and product buildup. Two of the sulfate shampoos I’ve been using to clean my hair with good results is the Ion Clarifying Shampoo and L’Oreal Total Repair 5 Restoring Shampoo. Both shampoos really clean my hair without drying it out like other sulfate shampoos tend to do. The sun can be a beast in the summertime and while I think about protecting my skin with sunscreen, protecting my hair has never been a priority. I always thought about ways to protect my skin from sun damage, but never my hair. As a result, I would spend time outside and leave my hair completely exposed. Then I'd wonder why my hair would feel dry and lifeless afterward. Now I make sure I’m using products that can help protect my hair from sun damage. And bonus if they also have other benefits. There are a few different products I can protect my hair from UV rays. Such as the Paul Mitchell Sun Shield Conditioning Spray. Or I can use a natural product like aloe vera or sunflower oil. Of these two natural products, I prefer using sunflower oil to protect my hair. It’s easy to find and get, plus it also adds a nice shine to my hair and because it’s an oil, it won’t quickly come off of my hair in the water. No matter the season, moisture is important for our hair. While I love a good cream based moisturizer, sometimes it can be a bit too much for my hair in the summer heat and humidity. When the humidity reaches ultimate levels here in Florida it can feel like the cream based moisturizer is weighing down my hair. This is when a liquid leave-in conditioner like the Jane Carter Revitalizing Leave-in Conditioner comes in. It’s perfect for the summer. I love how lightweight it is, it’s easy to apply and it makes my hair feel moisturized without the heavy feeling. A great bonus is that the Jane Carter Revitalizing Leave-in Conditioner contains aloe vera as a key ingredient. As I noted above that is a natural product that can help to protect your hair from UV rays. One thing to watch out for is it does contain humectants which help the hair hold moisture meaning it could help draw the moisture from the humidity into your hair and create puffiness. I haven’t experienced that but did want to point it out. What are your favorite summer beauty products?